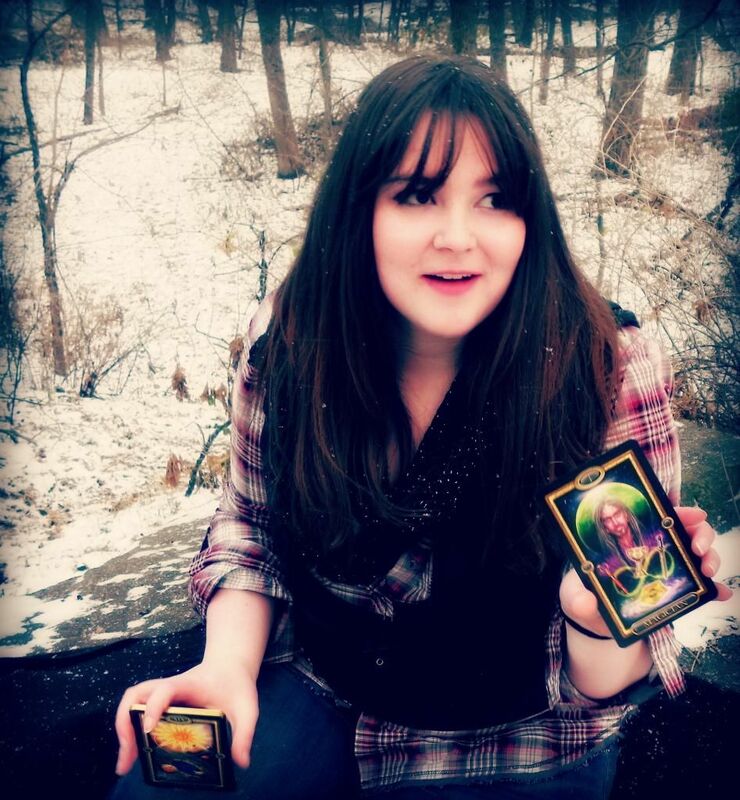 It's time for another Tarot Spotlight interview, this time with the wonderful intuitive reader and teacher, Jessica Climer. 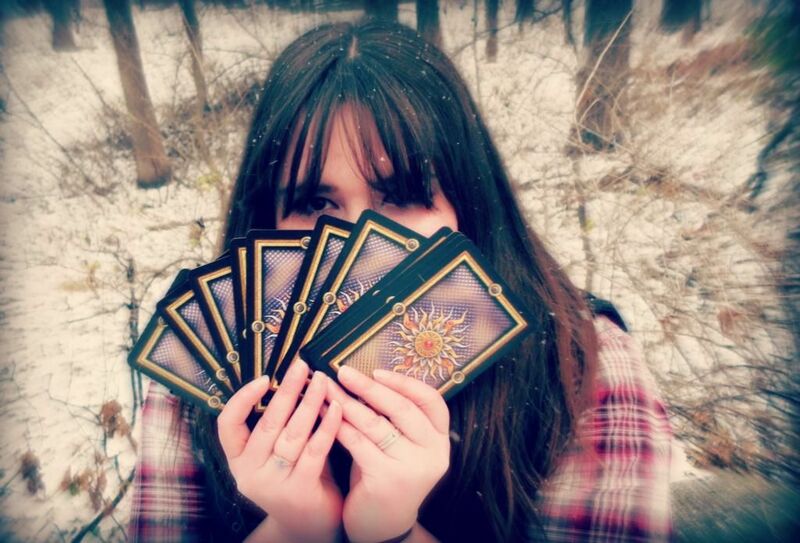 Tarot Spotlight is a blog feature which allows you to mingle with the Hierophants and High Priestesses of the Tarot community and I am so happy to give you the opportunity to learn more about Jessica and her business, Second Reverie. Find out how a mystery illness led her onto a spiritual quest, what her impressive plans are for the future and why I now think shufflemancy is the coolest thing ever. You are an ordained minister, certified Reiki Master, Energy Healer, Angel Card Reader and Life Coach. That's quite an impressive resume! How did you begin on this wondrous spiritual journey and have you always been a spiritual seeker? Jessica: Whew, that does sound like a lot, doesn't it? I feel like I have always been a spiritual seeker, but that I didn't recognize that as what it was until I had my tough medical experience. I'd had this strange, phantom pain for some time and felt like I wasn't being taken seriously - doctors couldn't see any reason for the issue, but I just knew in my gut that something was really wrong. Eventually I had the surgery I needed and it showed that I did have a medical condition (endometriosis). After that experience, I had this almost movie-like realization that I'd had the intuitive knowing all along, which was what encouraged me to get my first Tarot deck. Around the same time, I was introduced to a book by Caroline Myss about the relationship between emotions and physical healing, and the community college I was attending had a notice in the newsletter for a discounted Reiki session. I then started having these flashbacks of moments of intuition or insight I had as a child; a powerful experience I had with a friend who was about to pass, knowing when we moved out of one house that it wouldn't be the last time we lived there.. About the same time, my parents also began spontaneously sharing little things that they remembered. Like, knowing my uncle who had passed had taken his own life, when it was never ever talked about, knowing school would be cancelled the day of my grandfather's funeral etcetera. Which Tarot card best describes the approach that you take with clients and why? Jessica: I had to reflect on this a lot. I probably embody the energy of Temperance when I work with clients, because to me, that card is all about mixing things together, perhaps in different ways than we might expect, to end up with something new and useful instead of having several little random things we don't really know what to do with. I've learned through working with Tarot that life isn't a by-the-book thing. What works well for one person isn't necessarily going to work for everyone, or even the next person I see. It's all about finding what your life needs, and what supports you, and what doesn't. For example, traditional religion can be very fulfilling for some people; for others, they benefit more from working with archetypes and letting their spiritual journey unfold in a sort of organic way. Both ways can and do work, but not everyone who comes to me understands that; in fact the majority of my clients are frustrated because they're trying to do what someone else has told them to do. So it's usually my main goal to help them find what actually nourishes them spiritually, and give them the tools they need to really do most of that on their own. What do you like best about the online business journey? Jessica: Oh gosh, I could probably go on and on about this one! I think the biggest thing for me is that I tend to be someone who gets very, very focused on what I'm doing, so the ability for me to work as long as I need to on something is huge. When I worked at an office, there were busy times and slow times, but I had to be there until 5 no matter what. Now, I can get up at 6 and start working right away, and work all day if I need to (which is sometimes necessary depending on what I'm doing! ), and then have the next day be shorter or work slower. It really helps me make sure that each client I interact with gets what they need. Of course, that's also a downside as well, because it sometimes makes it very hard for me to shut off my work brain and just do something other than replying to emails when I should be relaxing. How would you describe Tarot to someone who didn't know the first thing about it? 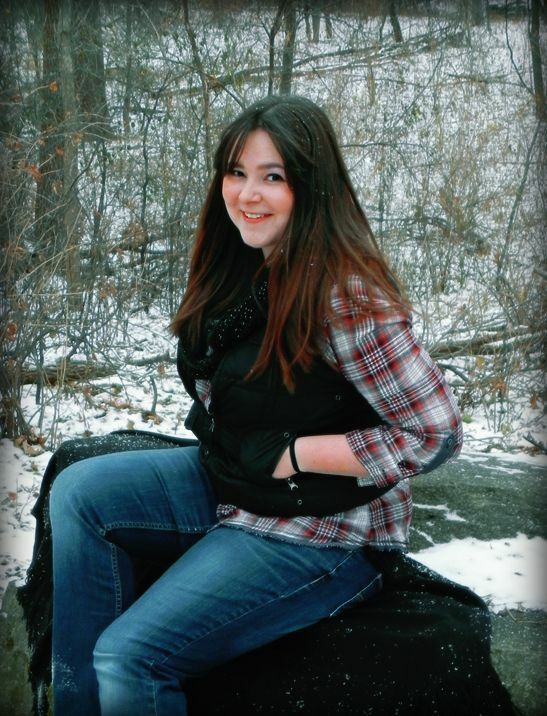 Jessica: I feel that Tarot is a very structured system that pairs symbolic imagery with common themes and situations all humans experience at different parts of their lives. In shuffling the cards and laying them out in a specific formation, the cards tell a story and provide insight about almost everything. I use the cards as a foundation for reading the energy (emotions, memories, etc) around my client, to help identify blocks, misinformation or problems, in addition to helpful things like what they are good at, or what's working well, and how to make the most out of whatever situation they are in. Working with tarot can also be a good way to connect to your divine support team, like your angels or spirit guides, regardless of religious beliefs. Sometimes, when we get stuck in a dark place, just having a third party who can check in on your path say, 'Yes, this stuff was hard, but you're headed where you want to be, so stay the course and believe in yourself' can make all the difference. What are your plans for the future of Second Reverie? Jessica: Haha, I love this question, because very suddenly in the last few weeks I've gotten a lot of ideas and suggestions about what I should be doing in the future. One of the big things is that I'm going to not be offering as many readings and move into channeled messages, as they are much less draining for me. I have been working on a course for reading Tarot specifically on the subject of spiritual growth for a while, which I am hoping to launch next year. It will have a couple of spreads I created, plus a set of suggested interpretations and a journal to help readers who may have a hard time moving away from more mundane or traditional interpretations of the cards. I'm also (very slowly) working on a bigger training program for people to essentially do spiritual midwifery, but I don't anticipate being finished with that for another year. Ahh! I always manage to keep myself pretty busy. Can you think of one key piece of advice you would give to those who want to start giving readings to others? Jessica: Absolutely - allow your intuition to work for you in its own way. Get to know how it works and pair it with things that you are already good at or enjoy. For example, if you like music, try shufflemancy, which one can do by putting their musical library on shuffle and letting a random song come up. If you are a writer, try typing your readings; you may have a knack for automatic writing, which is like stream-of-consciousness writing or channeling. If you are a heart-centered person, or if you feel things very deeply, you may have been receiving messages in the form of feelings - and you may have a special gift for connecting people with healing messages. (My mother is like that and she gives extremely empathetic and emotionally healing messages on a regular basis.) Work with your readings in different ways, push yourself out of your comfort zone, and try to replicate what works best for you. Basically, treat your readings like experiments and practice, practice, practice. We all started at the beginning!